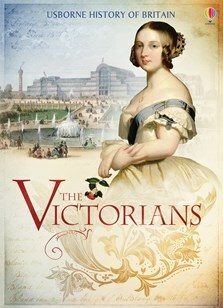 From slums and steelworks, to the British Empire and the Great Exhibition, this book tells the story of life in Victorian Britain. Full of intriguing facts, illustrations, detailed reconstructions, paintings and maps. This is a brilliant book with lots of information. I especially liked reading the bit about trains and their development. I definitely recommend it!